I would like to welcome anyone who is interested to the opening of a new Goju Ryu Dojo in Croydon. I have been studying Karate for the last 30 years and my new dojo will be open to all who are interested in learning a traditional Okinawan style of Karate. 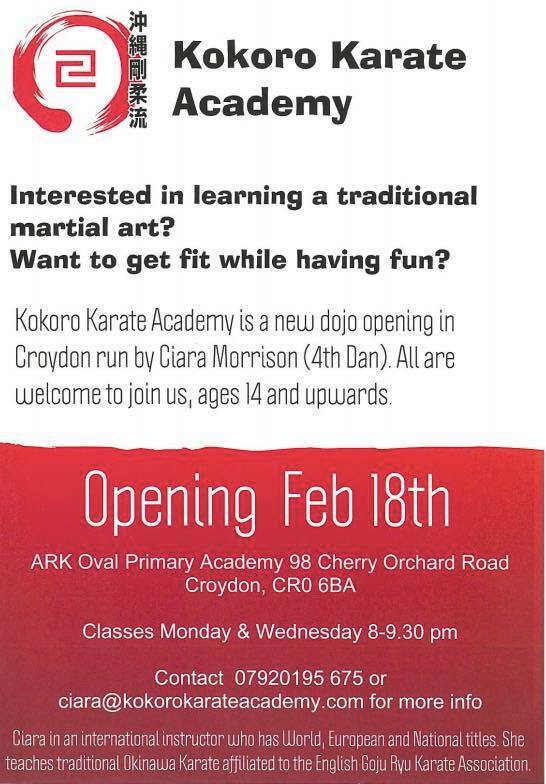 We are based 4 minutes from East Croydon station and you will find loads of information on www.kokorokarateacademy.com or just ring me on 07920195675 for more info.